Mulled wine, carols around the Christmas tree and quality family time. It’s meant to be the most wonderful time of the year, but Mintel research reveals that as many as 36% of all adults in the UK say that they feel stressed at Christmas. “Brits face a lot of pressure to have the perfect Christmas, ranging from the best decorated Christmas tree to the most elegant of Christmas feasts. There has always been something of a competitive element to how people approach Christmas, but there is little doubt that the dawn of social media and pervasive images of high-end celebrations have put even more pressure on Brits to achieve the ultimate Christmas Day. There is therefore little wonder that so many people feel stressed at this time of the year. 1. In at number one, from “All I want for Christmas” to “Jingle Bell Rock”, 56% of adults agree that Christmas wouldn’t be Christmas without Christmas songs. 2. Hot on the heels of Christmas songs is the Christmas movie: 52% of adults associate Christmas with feel-good favourites such as Home Alone and Love Actually. 3. From the must have penguin to the sought after carrot, the pressure to come up with viral advertisements grows by the year, with 2018 being no exception. Mintel research reveals that for 41% of Brits, it wouldn’t be Christmas without Christmas TV adverts. 4. From bubble & squeak to cold turkey sandwiches, 38% of Brits agree that Christmas wouldn’t be Christmas without Christmas leftovers. 5. Love ‘em or hate ’em, for a third (33%) of Brits, Christmas quite simply wouldn’t be Christmas without Brussels sprouts. The notorious sprout is a firm favourite in the West Midlands (38%), but considerably less important to Londoners (26%). As for the remaining favourites, just under three in ten (28%) Brits feel that it wouldn’t be Christmas without the Queen’s speech, declining to one in ten (11%) 16-24s. Meanwhile, a quarter (25%) of Brits say Christmas is all about the Christmas jumper, rising to 33% of 16-24s. 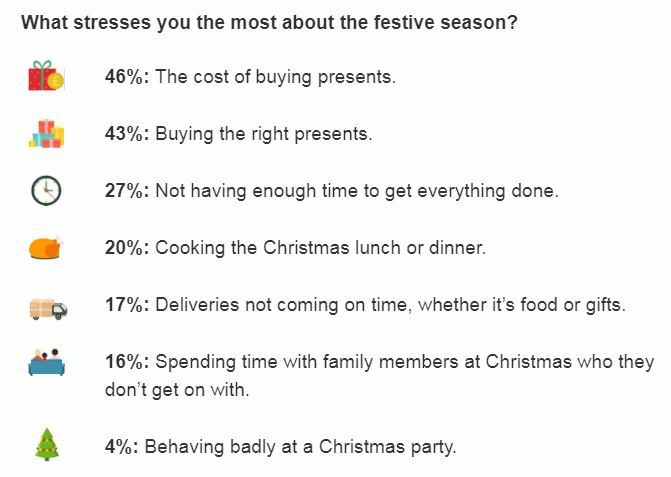 Finally, pantomimes (21%), panic buying presents (17%) and Secret Santa (14%) make up the remaining top ten responses. “Nostalgia is a key part of Christmas, as underlined by people’s love of festive songs and films, which provide a feel-good factor at a time that can be very stressful. Christmas movies in particular offer people a chance for escapism.